Opening Comments: 2014 SOCA Chair: Art H.
2014 Chair – Art H.
Vice Chair – Kim C.
Programming Chair – Parthi T.
Registration Chair – Scott P.
Fundraising Chair – Art H.
Greeter Chair – Terry B. Public Information Chair – Kimberley C. & Glenn K.
Conversation with Stacy D. (Southern Ontario Cocaine Anonymous) memorabilia chair on a weekly radio show “The Middle Passage” aired every Wednesday from 5-7pm. The interview took place on October 15th, 2014 just prior to the SOCA Convention being held in Toronto. 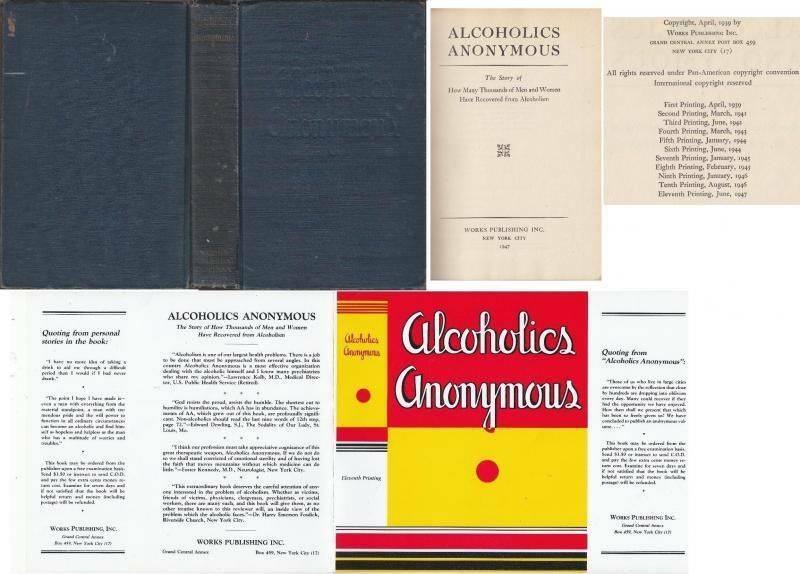 1st Addition 11th printing (1947) Big Book of Alcoholics Anonymous will be available either in the live auction or perhaps the silent auction. More items to be posted as they are acquired. Note: The dust jacket is a reproduction. The Walter Hagen Classic is a SOCA Convention Fundraising Event; Please support this event. THANK YOU! Camaraderie, Joyousness and Democracy Pervade.